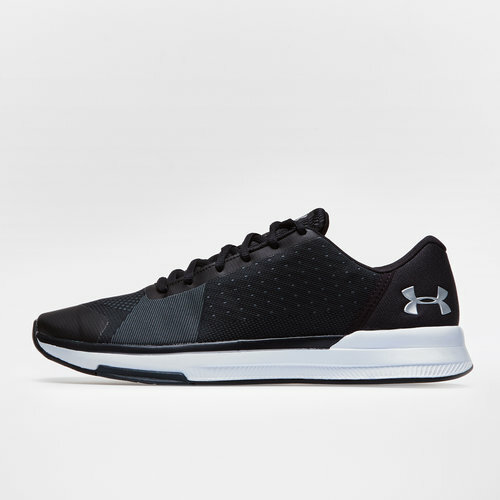 Take the next step in training but raising with these Showstopper Mens Training Shoes in Black and Grey from Under Armour. These training shoes with a jacquard knit upper have been designed for flexibility whilst providing highly-breathable support during even the most intense training sessions. Perfect for all types of training from running to cross-fit the flat platform sole is designed for versatility and support for all of those heavy lifts.